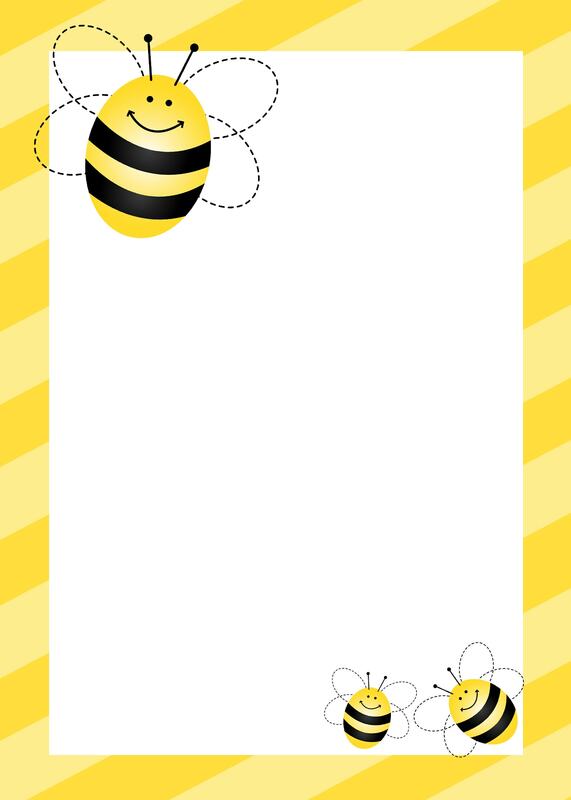 After designing some Ladybug Birthday Printables for a birthday party last month, I had someone ask me to design the same party elements with bumblebees. 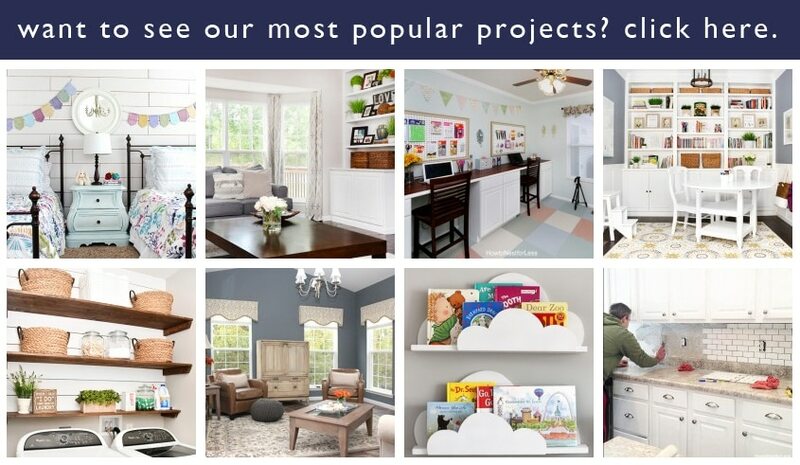 So since I took the time to create these projects, I decided to SHARE them with YOU! 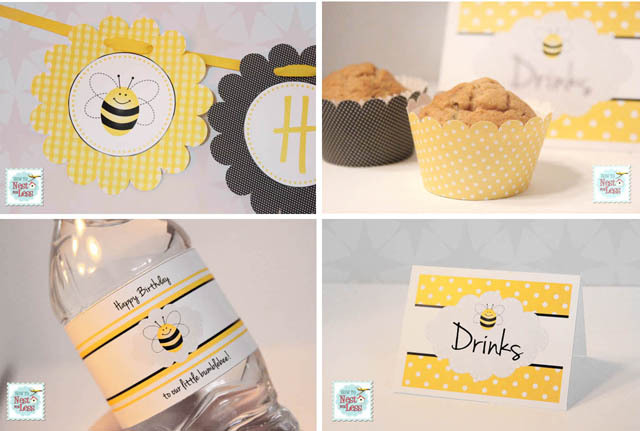 So here’s the Bumblebee Themed Birthday Party with FREE printables! For this birthday party, I created some food table cards, cupcake liners, a birthday garland and water bottle labels for some extra pizzazz around the room. Let’s get this party started! 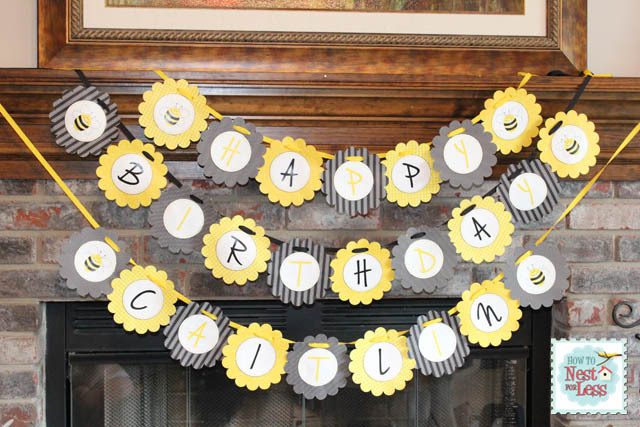 And finally we have a cute little birthday garland for the cute little bumblebee! 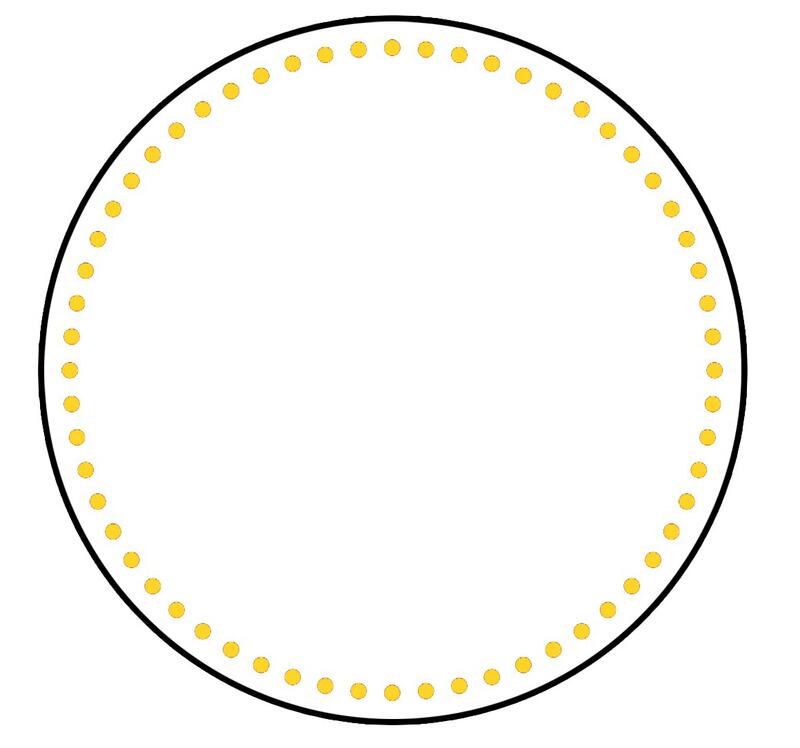 Just print out the number of blank circles you need for the letters and you can use the bumblebee circles as spacers. Or use this printable as a pattern for scrapbook paper! Just right click and save to your desktop. AND OF COURSE AN INVITATION. Well, that’s it for today! 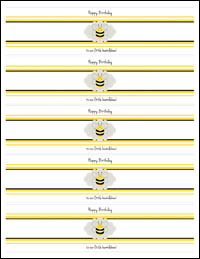 I hope everyone enjoys the FREE bumblebee birthday party printables! 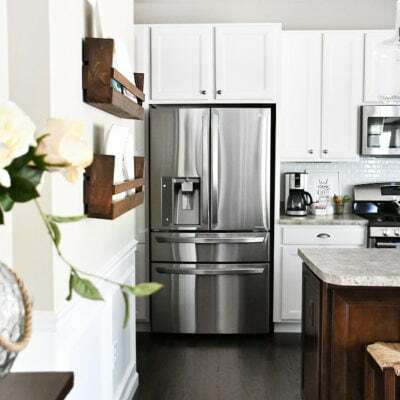 Who knows… maybe someday I’ll do some more party decorations now that I know how quick, easy & affordable it really is! How adorable! I love this party theme. 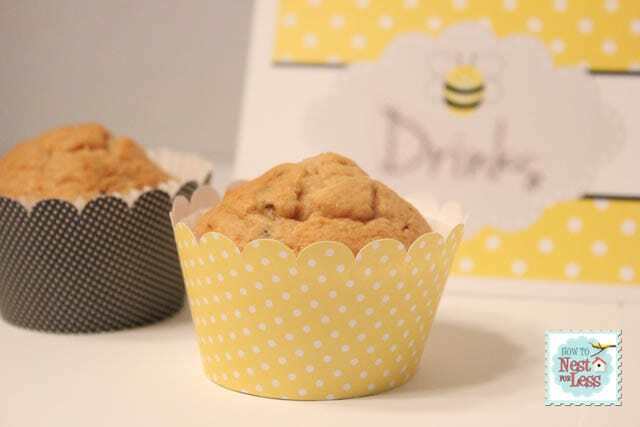 Those cupcake liners are so cute! And that garland…so fun! You did a fabulous job. Thanks for sharing! Thank you! I might use these for my baby girl’s first birthday. She is the third kid, so I’m trying to come up with something unique that is just for her, not a rehashing of a previous party. These are awesome! I love them! Thanks for sharing! Maybe I’ll switch my Ellie’s theme from strawberries to bees now! She’s a June baby so both would be cute. You have me thinking now! Wow! his looks amazing. You have a lovely blog. I am visiting you via Tuesday Treasures. I look forward to seeing you at My Dream Canvas. I will have to pin these for Mia’s summer birthday! Love ’em! OMG!! I love it. I would love it if you linked it up my new link party. We love Bee’s in our family…long story, but if you look up what bees symbolize you will love them even more (souls). I lost my brother Bobby in 1995 to AIDS and we had a “bee” incident at his gravesite, and ever since my sister and I think Bees are his way of joking around with us. He was quite the prankster. Hope the story doesn’t sound morbid, but more spiritual. When I saw your link I had to stop by! If you go to my site and look at my dining room turned office link, you will see the glass “bee” on the buffet table behind my desk. My hubby and girls got it for me as a gift to remember my bro. Thanks for the “BEE” buzz today 🙂 Super cute theme!! Very cute! I love when party decorations actually match! 😛 Such a unique theme! Love it! This is such an adorable set of printables! You have quite the talent, Erin! I love everything you do! Thanks for sharing! These are great – are these PDF files editable? Trying to customize the banner for our twins’ 1st birthday! Thanks! Thanks! These are so cute! I’m going to use them for my daughter’s first birthday! LOL Martina! I’ll put it on my list. I’m actually working on firetrucks right now but I’ll do the owls when I’m done. GREAT IDEA!! 😀 Looking forward to it! everything you do is so beautiful! Not long ago I hosted a summer bash with lots of bumble bees in the theme. Now I could easily recreate the party using your printables for a birthday! They are adorable, thanks so much! 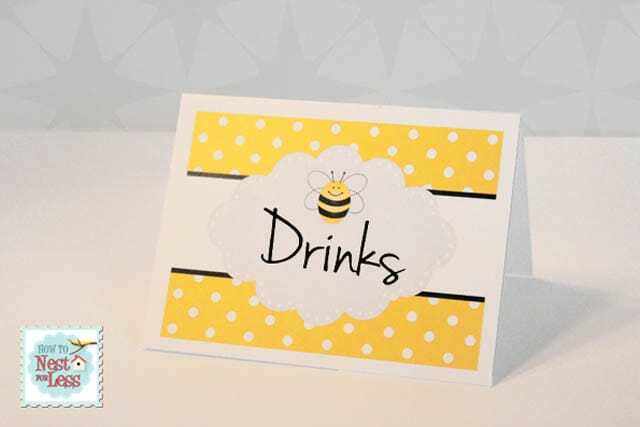 If you love bees, you’ll love these drinks!! How do you enlarge these without the image getting blurry? When I click to print them, they come up in a little 2×2 square in the upper lefthand corner of the paper. So I enlarge them, but they print real blurry. They are so adorable and I really want to use these. Someone please help!! Don’t click on the image. Click on the text below the image where it says to download. Hope that helps!! Thanks for posting! Do you recommend a particular paper for the banner? Hi Aarein! I would suggest using cardstock. It’s a little big thicker than normal paper so doesn’t bend as easily. Works great for me! Hey Jodi! Email me what you need for the text and I’ll send it over to you ready to print! I am using this theme for my little girls first birthday next saturday! She has a BEE themed nursery so this works perfectly! I am also a K teacher and wanted to use this for my classroom. Could you send the ABC labels to me as well? Another K teacher here! I’m loving the idea of a bee theme classroom. Can I also get a set for the banner? Fantastic work! Just in time for my twin’s 1st beeday party this coming Saturday! How do I personalize it? Thank you so much! My daughter & hubby have over 100 bee hives and an 11-month old! Can you please help me with a Happy Birthday banner? Just emailed you the Happy Birthday prints! hello!! my son turns a year in october and i just love this theme! i want to match the font so everything matches. could you let me know which one you used? thank you!! Glad you can use them Belinda! Yes Vera, you can go ahead and edit the images however you need! Do you have these in .png format and would you be willing to share? These are so cute and will be perfect for my daughters birthday. She is turning 3 and wants bumblebees. Could you please help me and advise me how to add the font to the birthday banner before I print it. Thanks!!!! Thanks Ashley. You should be able to bring the banner into PicMonkey.com or Photoshop to adjust. Email me if you have problems! We love these printables for a baby shower a friend and I are hosting this weekend. 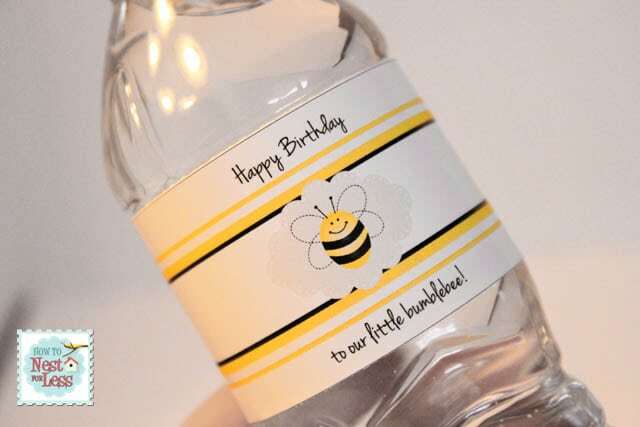 We’d like to use the water bottle labels, but the PDF we downloaded has the “Happy Birthday to our little Bumblebee” on it. Is there a way to remove that wording and add our own? Thanks so much! This is absolutely beautiful. Would love to use this for my daughter’s bday. Please do you have printable for letters so I can change the name for my daughter? I can’t get the water bottle wording to be removed??? I am wanting to personalize for my daughters bday?? What program are you using to edit? Hi! I absolutely love what you’ve put together, it’s all so adorably AMAZING 🙂 I would like to use these for my daughter’s first birthday party. How do I customize? I wasn’t able to edit the PDF. Do you have a word version you can send? Thanks much! Which part did you need sent over? I would like to customize the bottle labels, tent cards (with names of the food i will be serving) and the birthday garland. thanks so much for your quick response.. 🙂 do you have a printable garland not a PDF version..PLS. 🙂 God bless and more power! Precioso!!! De verdad muchas gracias. Admiro las personas que comparten cosas hermosas. Dios te bendiga. 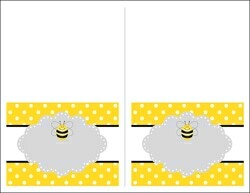 I would love to you the water bottle labels for my daughter’s What Will It Bee baby shower. Could you adapt the labels for that? I love your work. You’re welcome! Glad you could use them!! I just found your blog, great stuff! I would like to start making my own printables for my kids parties and was wondering how you go about it? Is it a software program you bought or an online site like picmonkey?? I thought you might be able to give me an answer as my googling is leaving me hanging!!! Is there any way to change the file to add the letters to the blank circles on the banner before printing? My handwriting is terrible!thanks! I would love to use the banner for my nieces baby shower. 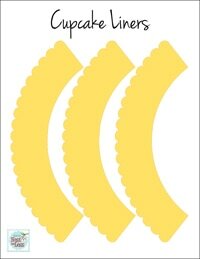 Is there any to edit the file to add letters to the blank circles? Thanks! I am also trying to type my daughters name into the blank circles, could you tell me how to do it?! Sorry to bother you but i have tried everything!!!! 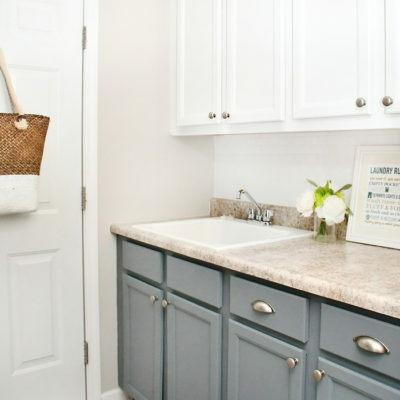 Love, love love the yellow gingham! Great work! Love these printables so much! Planning on using them for my 3 year’s birthday party. I would love to know how to insert letters into the blank circles. Thanks Jenny! Place the blank circles into Microsoft Word or something similar and type on top of them. Hope that helps! THANK YOU SO MUCH for this ideas.. im planning to have my Aj’s 1st bumble bee birthday party soon on November. love your printables! and it’s free too. 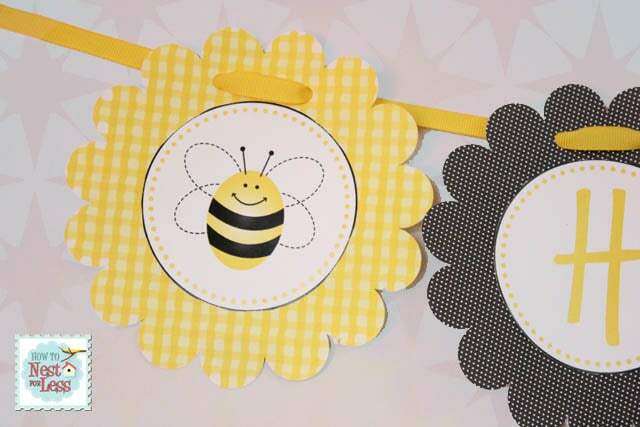 Our youngest daughter is turning one, and we call her Abee, this is so perfect for the bumble bee party we are planing for her on the 28th this month. I just need to figure out how to put the “Happy Birthday Abee” on the banner. Thank you for sharing! Hi! These are great! Thank you so much! Can you help, how do I change or add wording on the pdf files? What program do I need? Absolutely adorable designs! Thank you so much for sharing. Is there anyway to remove the words on the water bottle pdf? Trying to upload the Invitation. and I don’t see a link to it? Can you please help!!! Just click on it to open in a new window, then right click to save to your desktop! Hi, I love this banner! How can I personalize this banner with letters that spell out my daughter’s name? I can’t figure out how to edit the PDF. Thanks! 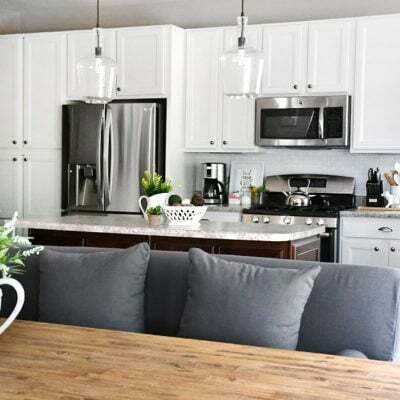 Hey Tracy, I just added a blank circle JPG to the page so you can customize! Place them in a Microsoft document and type your message in each circle. Hope that helps! HI!! I LOVE YOUR WORK!! Thank you so much for putting beautiful stuff together and sharing it!! 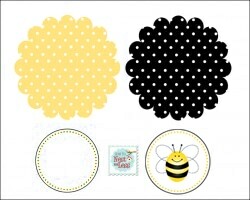 I’m planning on using your bumble bee printables as i’m planning my 2 bumble bees 1st birthday in about a month!! i just need a little help from you…. 🙂 I’m trying to personalized the items i have been able to do the banner with the Pic Monkey program that you suggested before…. the only problem i have encounter is that i have not been able to change the bottle labels to say ” bumble bees” since i have 2…. can you help me with directions on how to do this? and also if I can also get directions on how to write on the table tents? I would really appreciate it!! THANK YOU THANK YOU THANK YOU for your work….. i love it!!! Looking forwards to your help!!! If you could, please send me a direct email. It will be much easier to reply to your request. Thank you! Thank you so much for making these adorable printables available. I just used the table tents and the water bottle labels for my daughter’s 1st birthday party. They were a hit! Again, thank you for making these wonderful party touches available. Is there a way to type on the food cards and banner? Here is a link to a ZIP file with JPGs that should be easier to work with! I know this post was many years ago, but it is really what I need now. I’m planning to arrange a Spelling Bee contest and this design is perfect. but when I saved the images and opened them with Photoshop, their size was very small and I didn’t know how to customise it.. Please help me or guide me to the correct way to print it properly…. What font did you use for the letters? May I ask where you got the bumblebee clipart? I plan to make my own invites but will more than likely use the rest of your templates. I created it. You should be able to cut out from the garland if needed. I was curious since the documents are in PDF. How do I add the letters to spell the HAPPY BIRTHDAY? You can download the circle and add letters to it that way! I had another request. Do you have a pink polka dot? Thanks so much for sharing these!!! The bees are so cute! Hello! I love these printables. I would like to use them for my bee classroom. Is the bunting printable available? It shows up on pinterest but then it takes me to this site and I do not see it on here. I am looking for the full alphabet so I can use to create words. Just add your own lettering to the blank circles!